We love summer, and few things scream summer more than spending time soaking up the sun with friends while enjoying fresh foods with vibrant flavors. What better way to combine all of our favorite things than with a picnic? 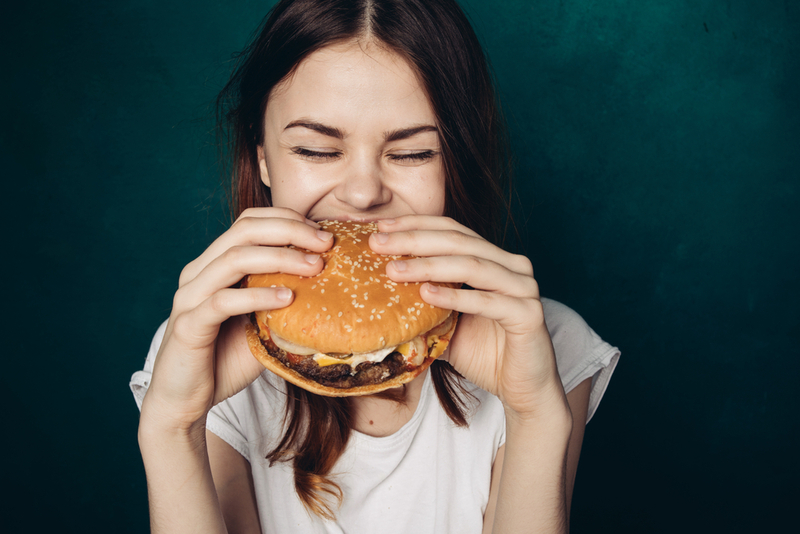 Not only will it save you money, but when you control the menu, your body benefits. 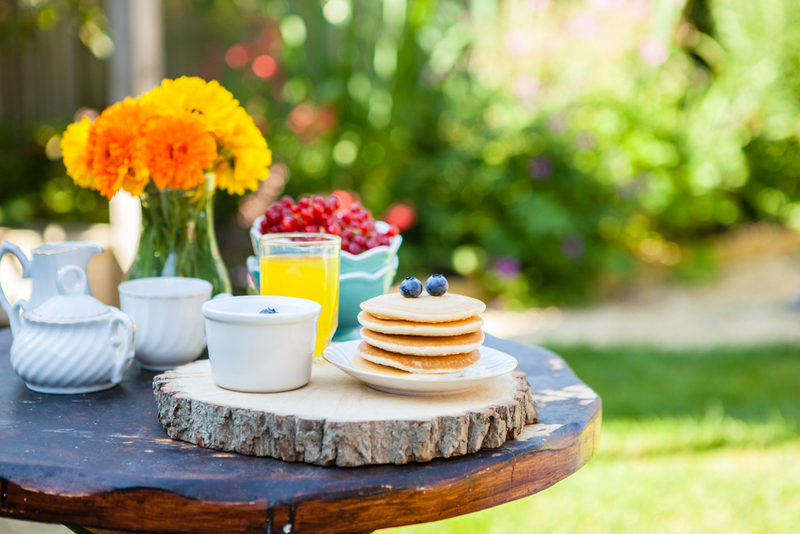 Check out these TLS-inspired, summer recipes, pick an outdoor location, and get inspired! These colorful, fresh pinwheels are one of our favorite summer recipes to make for a vibrant addition to any finger-food occasion! 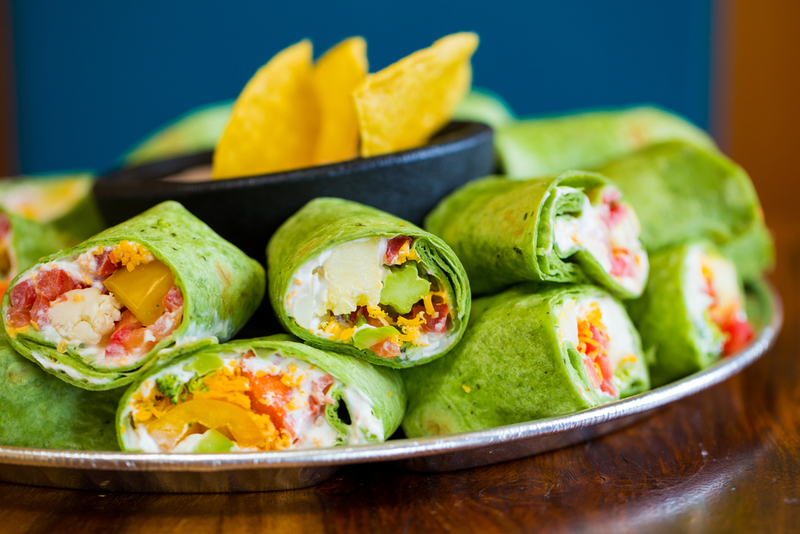 With the ranch-flavored spread rolled up inside a spinach wrap to complement the natural veggie flavors, this light and crunchy side is perfect for a blanket spread. Mix yogurt + ranch powder until thoroughly combined. Spread mixture evenly over the 4 tortillas. 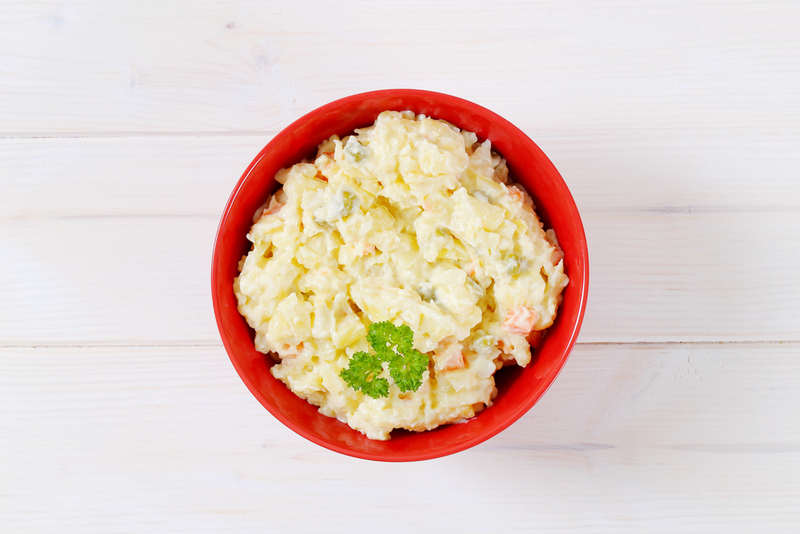 While potato salad is a staple in traditional picnics, we’re changing the game with this lighter and healthier recipe! Yep, there’s cauliflower in this potato salad. It helps to cut down on carbs and calories and it is a perfect match for this tangy, spicy horseradish dressing. When it comes to balanced summer recipes, this one takes the cake. Place potatoes in a 6-qt. pot with water to cover. Drain, rinse with cold water to cool and drain again. Combine yogurt, mayo, mustard, horseradish, vinegar, salt and pepper in a very large bowl. Add the cooked vegetables, bell pepper, and green onions. Toss to coat. 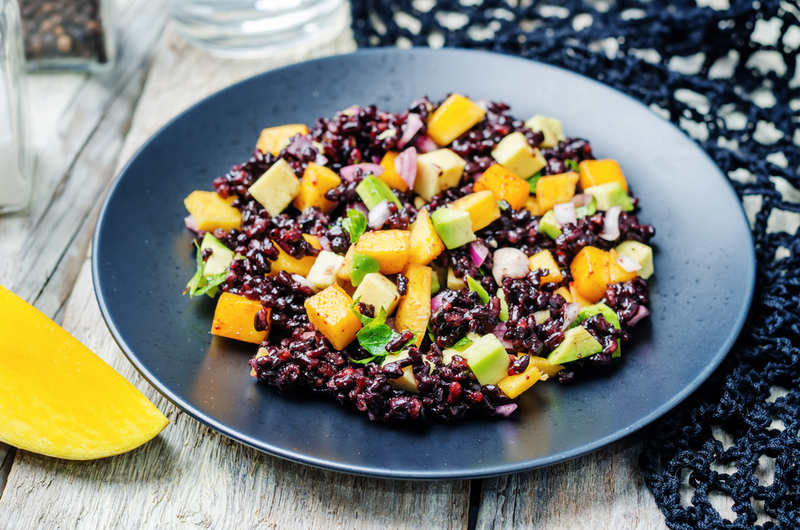 We love combining sweet and savory flavors, but this combination of black rice, sweet mango, and crunchy cashews just raised the bar on our expectations! You can prepare this salad hours in advance which makes it perfect for dinner parties or for a picnic! It also keeps really well for a day or two in the fridge, so you’ve already got lunch the next day. Sounds like a win-win in terms of summer recipes to us! Cook the black rice according to package directions. Peel and remove pith from oranges. Working over a bowl to catch the juices, separate the orange segments. Squeeze remaining juice from the membrane, then cut segments in half and set aside. Strain the orange juice into a small bowl. Add the lime juice, oil and fish sauce and whisk. Set aside. Spread cooked rice out on a rimmed baking sheet, drizzle with dressing and season with salt. Season with more salt and lime juice if desired. This recipe covers every last one of our must-haves for a summer go-to recipe: easy, tasty, cheap, and fresh! With the sweetness of the watermelon, the zest of the lime, and little kick from the chile, this recipe is going to be hard to let go of when the weather starts to cool. Spread rind on a baking sheet; bake at 200° for 10 minutes or until slightly dried. Combine 1 tablespoon dried rind, ancho, cumin, salt, and pepper in a small bowl. 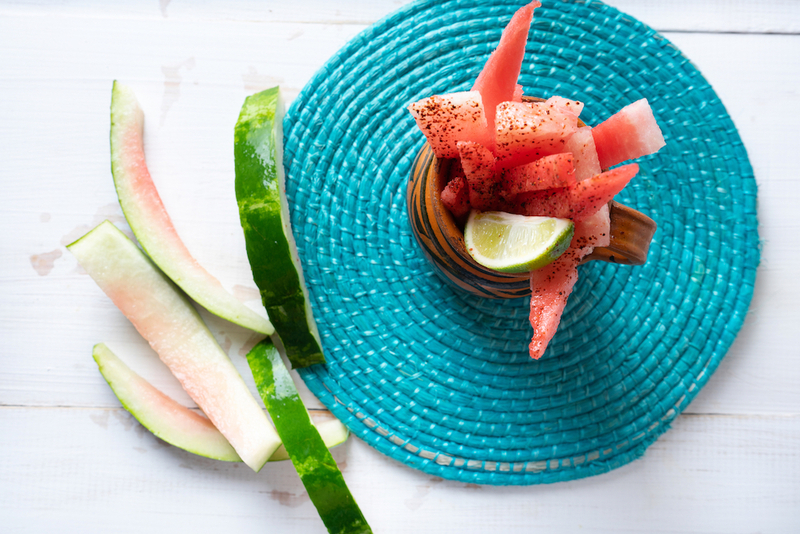 Arrange watermelon wedges on a platter, and drizzle with oil. Sprinkle evenly with spice mixture and cilantro. This easy-to-carry parfait is the best quick + delicious dessert for a summer afternoon! The pudding is easy to throw together and can be made in advance for a grab-and-go situation, and they make a great breakfast as well! After layering up all the granola, fruit, and yogurt, you could also do something crazy like topping the mixture with almonds or coconut! In a medium saucepan, heat 3/4 cup almond milk, TLS® Shake, and sweetener over medium heat. In a small bowl, whisk remaining 1/4 cup milk, egg yolk, and cornstarch until smooth. Whisking constantly, add 1 tablespoon hot milk mixture to egg yolk until smooth. Repeat a total of 4 times, then add all back to saucepan. Stirring occasionally, bring pudding to a simmer and cook until smooth and thickened. Cool pudding at room temperature, then press plastic wrap directly on surface and refrigerate until cold. Remove pudding from refrigerator and whisk in vanilla yogurt until smooth. 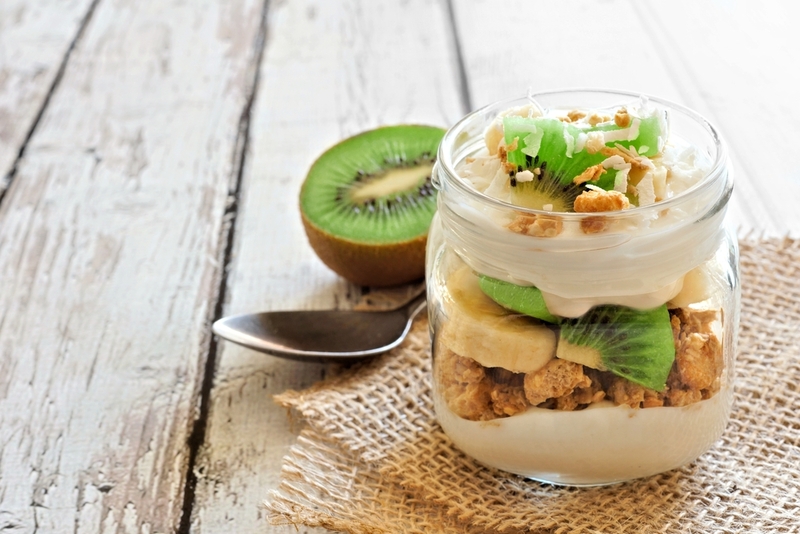 Assemble the parfaits in glasses, making three layers of pudding, sliced banana, chopped kiwi, and granola. Top each parfait with additional toppings if desired. What are your favorite summer recipes for a hot afternoon?